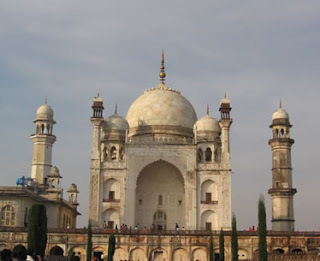 Bibi Ka Maqbara, in Aurangabad, was built by Prince Azam Shah, son of Emperor Aurangzeb, in the late 17th century as a loving tribute to his mother, Dilras Bano Begam. The monument's name translates literally to 'Tomb of the Lady', but has earned the nickname 'poor man’s Taj' because of its resembalance to the Taj Mahal. 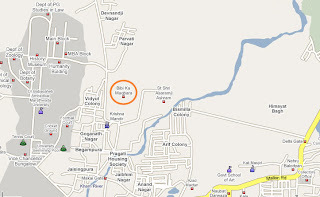 Aurangabad is well connected to Mumbai and other cities.There are two trains that depart daily from Mumbai. The Tapovan Express leaves Mumbai early morning arriving in Aurangabad by late afternoon, while the Devgiri Express is an overnight train. Daily city tour buses take you to Bibi ka Maqbara.